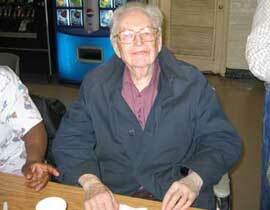 The St. Brendan's Senior lunch program had been in existence for about 15 years and served hot meals to almost 50 seniors and another 10 homebound weekly. 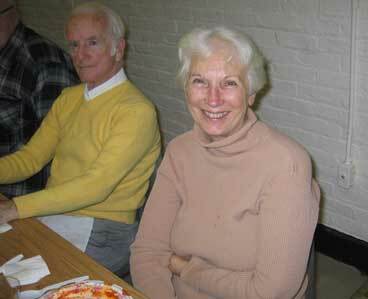 The cooks were a group of volunteers who coordinated with the grammar school children to serve the meals. 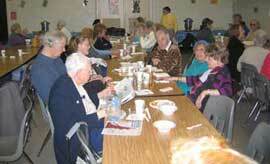 The seniors looked forward to the Saturday lunches as a lifeline to a nutritious meal. Its was great way for them to remain healthy, happy, and give them a feeling of importance in the local community. Volunteers prepare lunch for the appreciative seniors. 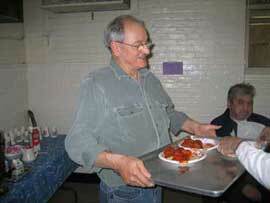 Fudgie Romeo serves lunch to seniors. 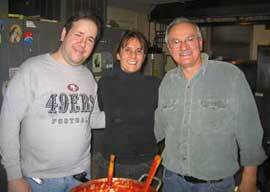 His wife, Tina (first picture,center), labors long and hard to provide a wonderful meal. Happiness is a hot meal with friends. 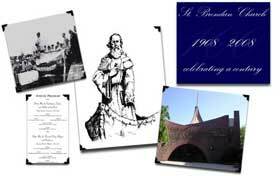 In 2008, St. Brendan's parish celebrated its 100th Anniversary! 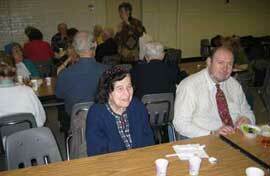 Bronx Rotary is proud to assist its Saturday seniors lunch program.